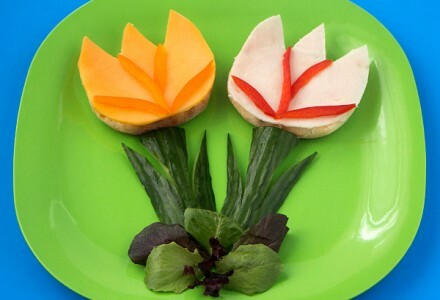 This cute tulip garden snack is made of cucumber, tuna, pepper, carrot, mayonnaise, parsley and chive. 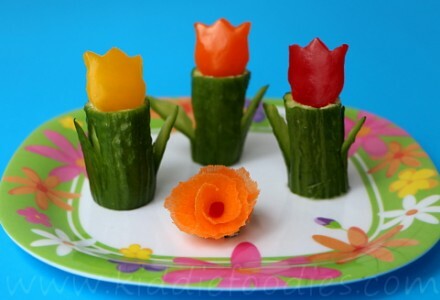 It can be a great idea for a spring snack – yummy and colorful. 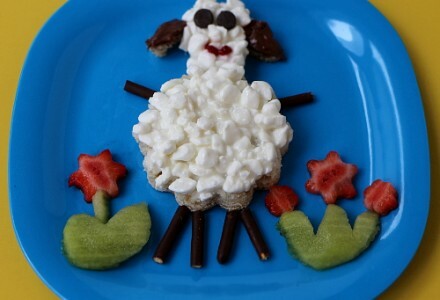 Cute sheep shaped sandwich, made of cottage cheese, Nutella, kiwi and strawberry flowers; served with chocolate chips and biscuit stick. 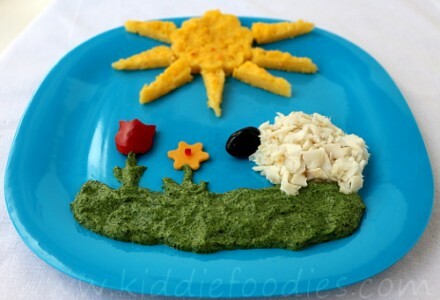 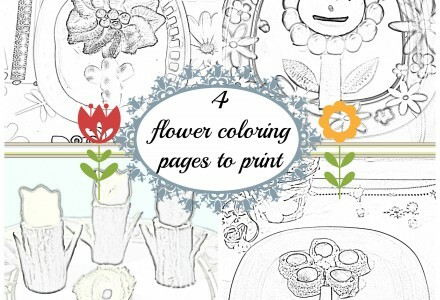 Can be a great idea for re-filling the energy of the little buddies!